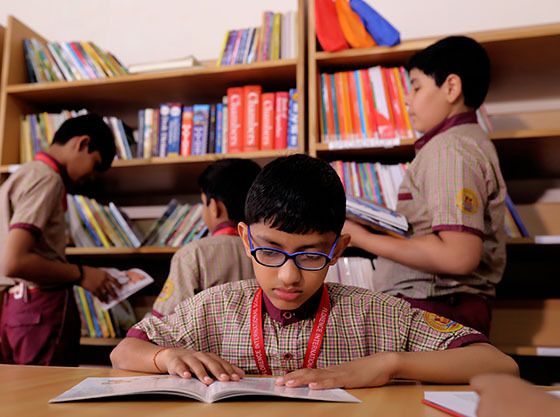 Learning something new is a special event and because reading underlies every area of the curriculum, reading and literacy continue to be central to the school mission. 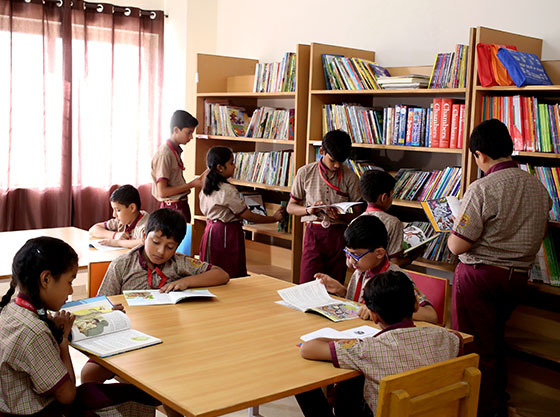 The spacious and well-resourced duplex library has been designed to provide the students with a peaceful and purposeful atmosphere to study and encourage intellectually creative thinking. School is committed to provide printed as well as E-books such as Kindles, Nook etc. for recreational reading and curriculum tie-ins. 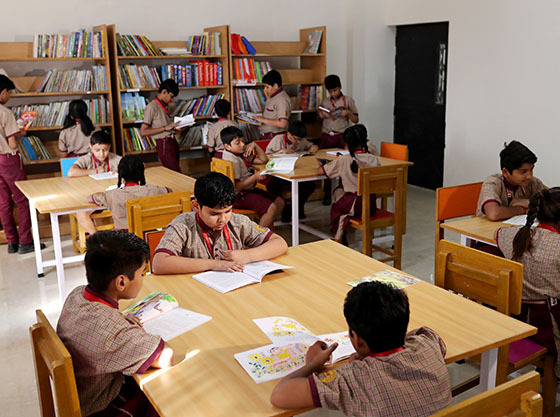 Students are encouraged to make full and effective use of the facilities in order to improve their knowledge and instill in them the habit of reading. Professional librarians provide expert help to ensure that the necessary information is available to students.